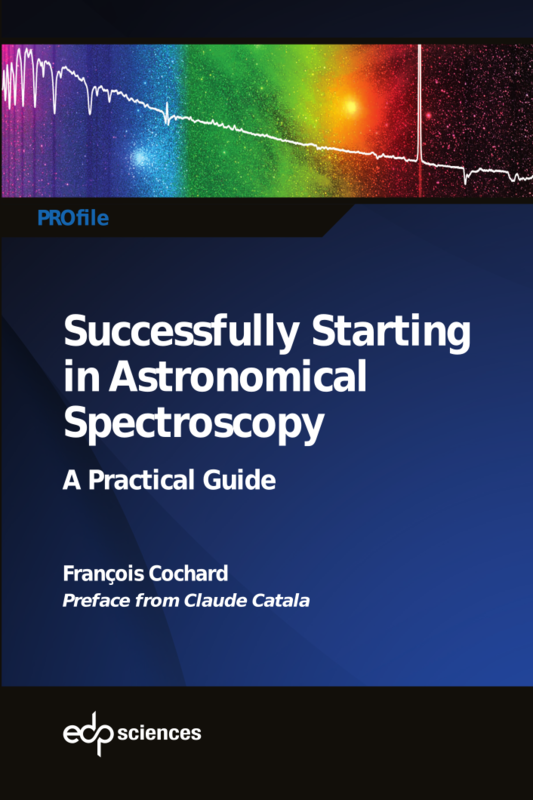 This book has been written by François Cochard, co-founder and general manager of Shelyak Instruments. Préface from Claude CATALA, Président of the Observatoire de Paris. 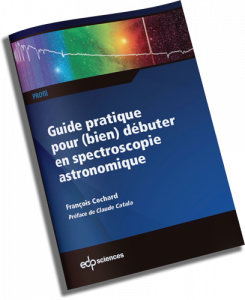 It is also available in french : Guide pratique pour (bien) démarrer en spectroscopie astronomique. 1.2 What Does a Spectrum Look Like ? Chapter 4 • What can I Observe with my Instrument ? 4.3 What Physical Phenomena to Observe ? 6.11 Keep it Simple ! 7.2 Image Detector or Light Detector ? 8.1 Which Light Source ?